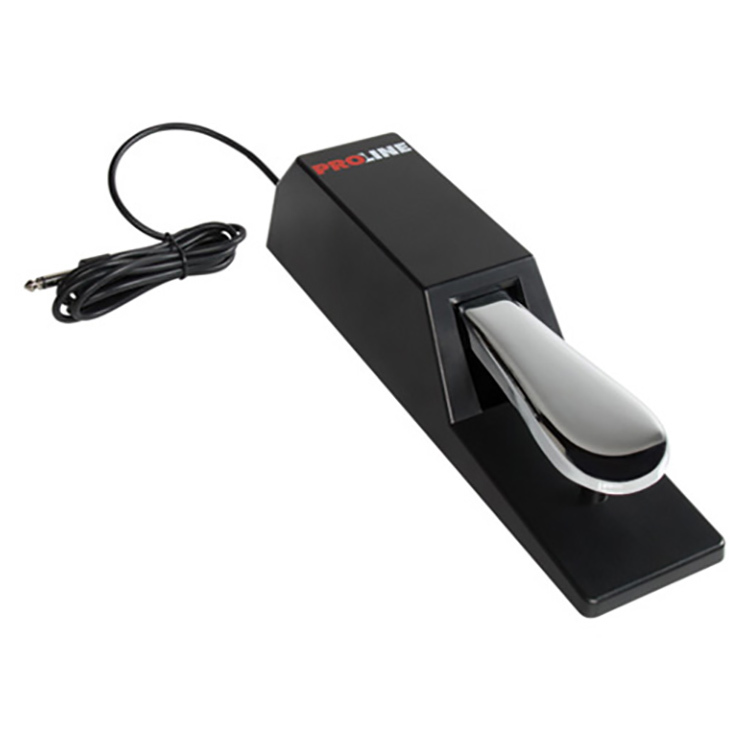 Standard sustain pedal with switchable polarity. Larger chassis with rubber skid on the bottom to prevent your pedal from jumping around on hard floors. Silent operation, quality cable. Now you can control your keyboard a more realistic piano feel with a Proline PSS2 Professional Sustain Pedal. It works with any keyboard, and its heavy-duty construction and stable-grip rubber soul provides superior stay-put characteristics on stage and in the studio.